may the lord bless you and keep you. may the lord make his face to shine upon you and be gracious unto you. may the lord lift up his countenance upon you, and give you peace. 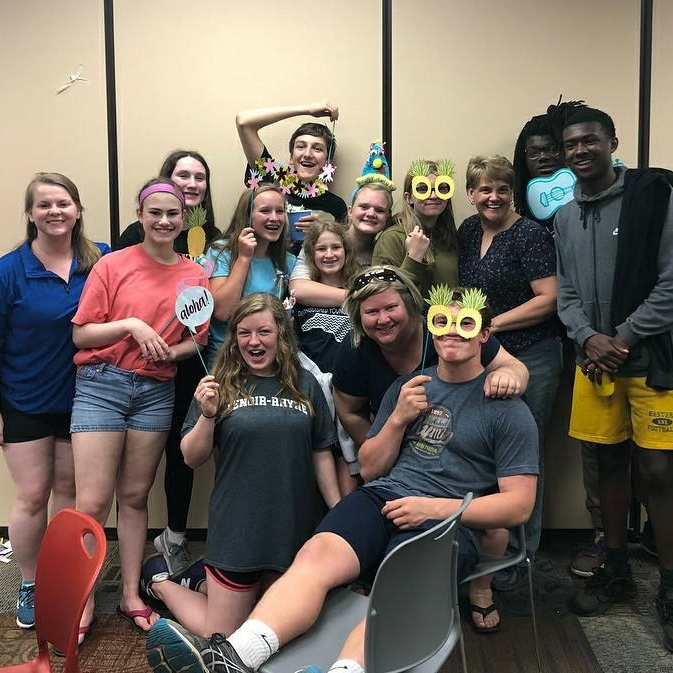 Our youth group meets weekly during the school year in the Gym for a small snack supper ($3), worship, and prayer groups before splitting into middle school (grades 6-8) and high school (grades 9-12) groups for activities on each month's theme. Meet us for donuts and snacks in the Youth Building lobby before breaking into age-level groups for class, which begins at 10am. During the summer, rising sixth graders through rising college freshmen meet together. 8th Grade/Confirmation: Our 8th Grade class includes Confirmation, which runs November-May. Go deeper in your faith in a small group, with weekly dinner and Bible study discussions. Join us for breakfast and devotions before school on Wednesdays at Oakcrest Family Restaurant! Come when you can and leave when you need to between 7:30am and 9am. Come hang out with us: Jam with, join or listen to the Praise Band; play in the Game Loft; play basketball in the Gym; and more! Our Youth Choir (grades 6-12) sings monthly in Sunday worship services, as well as in special services throughout the year, including the Candlelight Service of Lessons and Carols and Youth Sunday. The choir also travels each summer on a Music and Mission Trip. Various sessions throughout the year last 5-6 weeks and include offerings such as handbells, drama, dance, instrumental music, praise band, visual arts, and media production. For current opportunities, contact Cathy West, cwest@christgreensboro.org. It's that time of year: Come support our youth mission team and shop for furniture, household items, electronics, sports equipment, linens, plants, and more at our annual Yard & Plant Sale! Been busy spring cleaning? Donations will be accepted Mon, April 29-Fri, May 3 from 9am-7:30pm; please, no clothes, shoes, tube TVs, cribs, mattresses, or large office furniture. To schedule a furniture pickup, contact Katey Galyon (kgalyon@christgreensboro.org). Confirmands, their families and Friends of Faith are invited to join us for a luncheon to honor our Confirmands. Graduates and their families are invited to join us for a celebration breakfast! We are gearing up for the SC Mission trip! Payments and forms are due! The Youth Choir is invited to join us on a Mission trip to Washington, DC. The goal is to share our faith through music ministry and mission outreach with the homeless and the elderly, and to build relationships within the choir and with others. Our weekly email newsletter is the best way to stay up to date with everything going on in the youth group at Christ Church. Sign up here! Interested in volunteering with our youth? Click here.